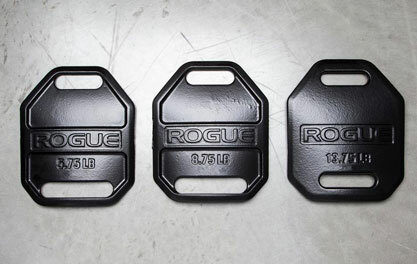 Rogue Cast Weight Vest Plates are sold in pairs and available here in three sizes (5.75LB, 8.75LB, 13.75LB), each measuring 11.25" in length and 9.25" in width. They are compatible with the 5.11 TacTec Plate Carrier, Condor Sentry Plate Carrier, and other similar weight vests on the market (be sure to check your vest’s measurements before purchasing). When added to a standard 2.5LB vest, the three plate size pairs create total weights of 14LB, 20LB, and 30LB, respectively. *IMPORTANT: These plates are meant to be used strictly as a fitness accessory and should never be used as body armor. 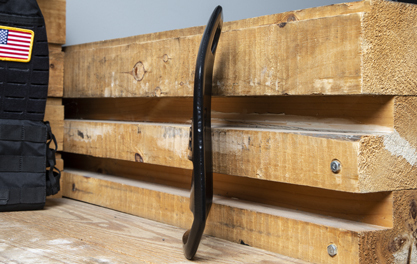 Casting these plates creates a custom, double-curved shape that significantly improves an athlete’s comfort when wearing a weighted vest. We looked at the armor / ballistic plates used in today’s advanced bulletproof vests as a key reference point. This custom ergonomic design helps keep the plate tight to the user’s chest while minimizing discomfort and enabling clearer breathing as you train. Rogue Cast Weight Vest Plates are compatible with the 5.11 TacTec Plate Carrier, Condor Sentry Plate Carrier, and other similar weight vests on the market (be sure to check your vest’s measurements before purchasing). We’ve designed them in three weight options, each measuring 11.25" in length x 9.25" in width. The 5.75LB plate pair creates a total vest weight of 14LB (when added to a 2.5LB vest); the 8.75LB pair adds up to 20LB total; and the 13.75LB pair tops out at 30LB. 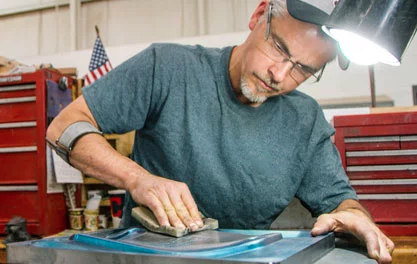 Handle-style grips on both ends of each plate, along with a black powdercoat finish, ensure easier handling and superior durability. Embossed Rogue branding and weight numerals also speak to the plates’ quality. Rogue Cast Weight Vest Plates is rated 5.0 out of 5 by 5. Rated 5 out of 5 by JoshS from Excellent. Very high quality. They don’t move in my plate carrier and if you have a day sack with a slim inside sleeve, they fit perfectly if you don’t want to run in public in a plate carrier. would highly recommend. They’re a bit more expensive than the flat plates but definitely pay the for curved; much more comfortable. Rated 5 out of 5 by Jonny61 from Reliable product, ergonomically shape I bought this short time ago, it's really great. I'll totally recommend. Rated 5 out of 5 by Oscar A from Finally the best weight plates available in Europe Great, heavy and perfectly fitting in a 5.11 vest.